Today’s global business environment has transformed what enterprises need from their enterprise resource planning (ERP) systems. Global competition has led to extended networks with facilities, suppliers, and partners in every part of the globe. Change is constant. Innovation is accelerating. Competition is everywhere, and customer expectations are higher. In this dynamic and challenging environment, technology must support collaboration, offer mobility and agility, provide instant access to information, and perform reliably—all while reducing complexity. Failing to support these goals can hinder what technology is meant to drive: growth and efficiency. 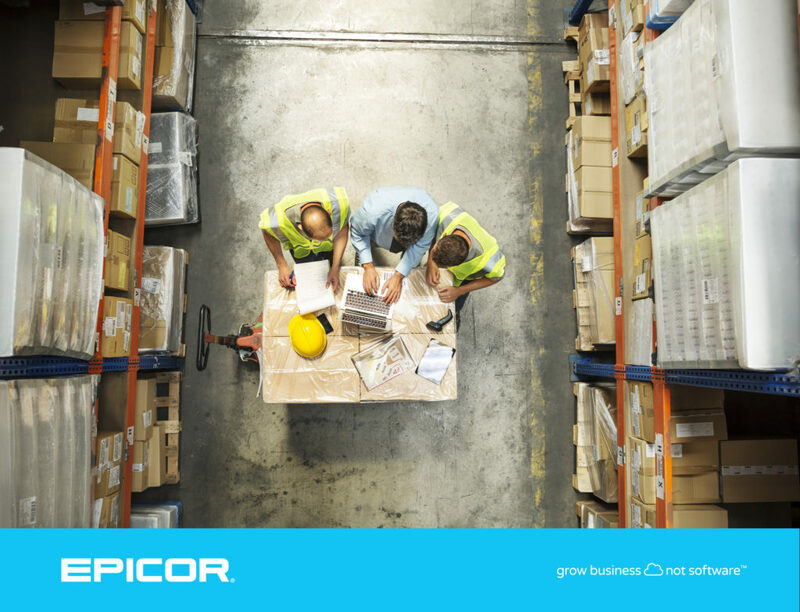 Epicor ERP 10 software was built to comprehensively respond to customers’ needs and provide the support organizations require to thrive in today’s competitive global business landscape. The Epicor ERP 10 solution streamlines the use of ERP across multiple devices, and was designed to enable greater deployment choices, reduced complexity, and remarkable ease-of-use. Built on agile technology to provide robust global functionality, Epicor ERP software is designed not only to unleash the full potential of ERP, but also to change its role from necessary infrastructure to active facilitator of business growth. Collaboration is essential to drive innovation, uncover opportunity, and respond to change in often-volatile markets. To do this successfully, your ERP must be accessible to everyone involved in a company’s value chain, and business processes must be linked directly to that chain. Epicor ERP 10 supports collaboration, knowledge retention, and traceability by enabling prompt communication and providing easy access for mobile and browser-based users. Designed for rapid, flexible deployment in the cloud or on premises, ERP 10 adapts to the unique circumstances of each business. You can easily configure its features, stay current with technological advances, and scale up or down as needs dictate. When deployed in the cloud, you can do it all without frustrating IT demands or delays. Events on one side of the world can immediately impact business on the other, so the ability to respond instantly is paramount. Your business analysis must be in context and agile to meet customer expectations. Epicor ERP 10 is designed to deliver in this taxing environment, providing functionality that organizations can use, in an instant, for a strategic response and competitive advantage. As value chains become increasingly extended, nuanced, and complex, you can’t have your core systems adding to that complexity. By simplifying how you deploy, manage, and use your ERP—and by providing accurate, up-to-date information that enables a single version of the truth across your network—Epicor ERP 10 reduces complexity and makes it simpler to make the right decisions for your business to sustain success. Today’s workers aren’t chained to their desks or their computers. They want 24/7 access to the information they need, wherever they are, on whatever device they use. Epicor ERP 10 is designed to deliver this kind of flexibility. With an unparalleled technology foundation, global functionality, easily configurable features, real-time data and analytics, as well as industry-specific business layers and support, Epicor ERP 10 enables performance that fosters growth. Where today you may see waste, delay, complexity, and uncertainty, tomorrow you could see efficiency, simplicity, and clarity through Epicor ERP 10. It is architected for efficiency and for your success. Epicor ERP 10 is built on a server architecture fully optimized for Microsoft® Windows® Server and Microsoft SQL Server®, which helps make it simple to manage and hardware-efficient. Relatively easy to deploy, the solution includes new features beyond its predecessor, and offers increased speed so users can complete important tasks quickly and effectively. Microsoft® .NET® 4.51 and SQL Server form the underlying platform for Epicor ERP 10. These platform components were chosen not only for their proven reliability, but also because of their low total cost of ownership (TCO). This structure reinforces the Epicor commitment to build fast and robust applications. ERP 10 services are hosted on Microsoft Internet Information Services (IIS), which means the entire architecture can be managed and extended using commonly available technical skills. IIS is a proven, reliable, and scalable technology that includes a powerful administration console and tools to configure, secure, and troubleshoot application services. Epicor ERP 10 also includes a dedicated management system for deploying and managing ERP instances. Once an ERP 10 release is installed, the Epicor Administration Console is used to easily create and manage databases, migrate data and applications from previous ERP versions, bind ERP instances to licensing, and manage users and sessions. Epicor ERP 10 delivers up to twice the performance of Epicor 9 and scales up to more than four times higher than the previous release. Epicor ERP 10 server processing times can be up to two to five times faster than ERP 9 server response times. What’s more, ERP 10 is “by the book” architected for Windows Server and SQL Server, which means your IT staff can save time and costs by leveraging all the management and monitoring tools familiar to them with little or no additional training. The solution integrates with a wide range of IT systems and adapts to unique and constantly changing business environments. 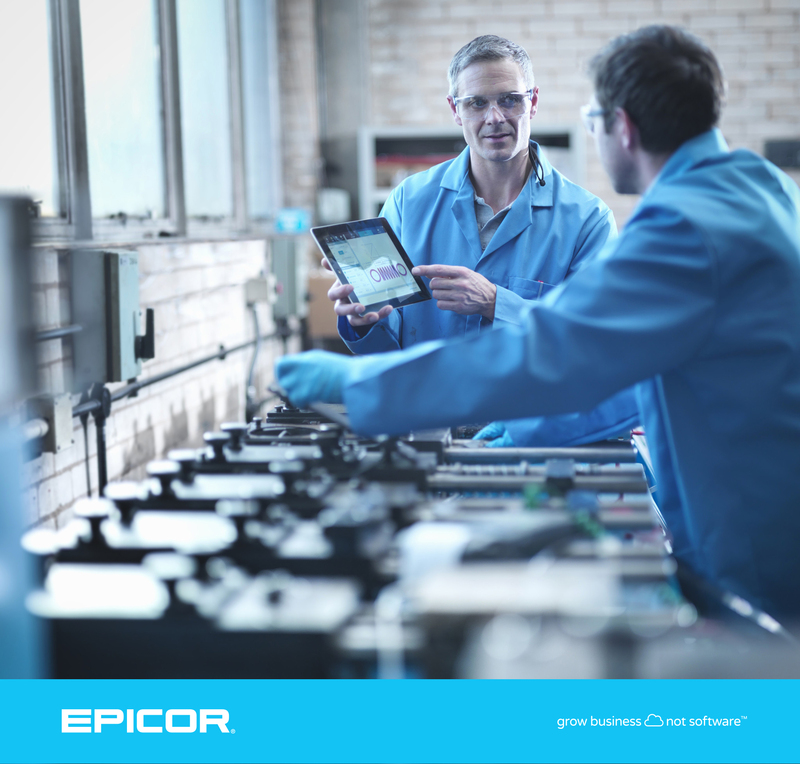 *When evaluating Epicor solutions, ask your sales person for contract documents and applicable terms, conditions, and limitations.